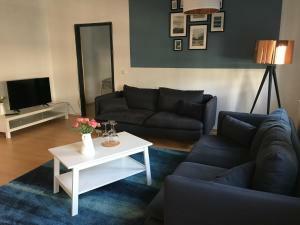 Apartment Luxuriöse Wohnung mit Parkplatz mitten im Zentrum! The apartment was very well located and very spacious and clean. 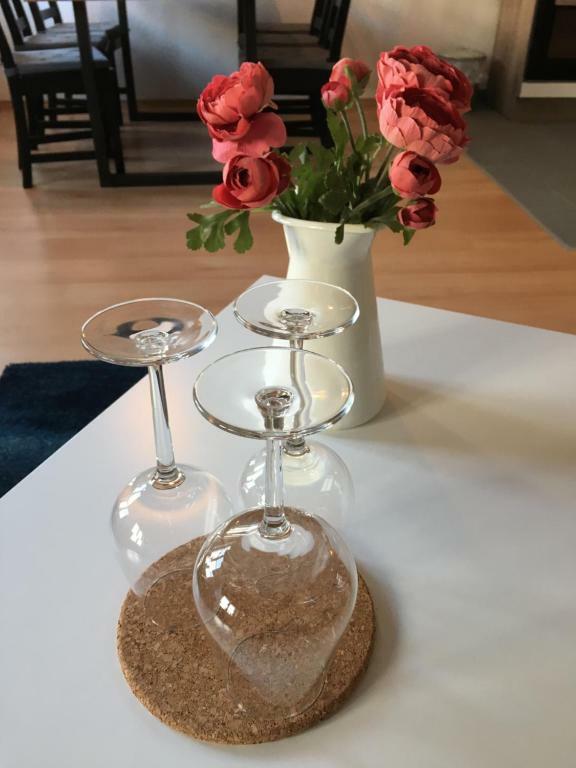 It was perfect for our needs and the hosts were flexible and accommodating when we added an extra person at the last minute. Thank you! 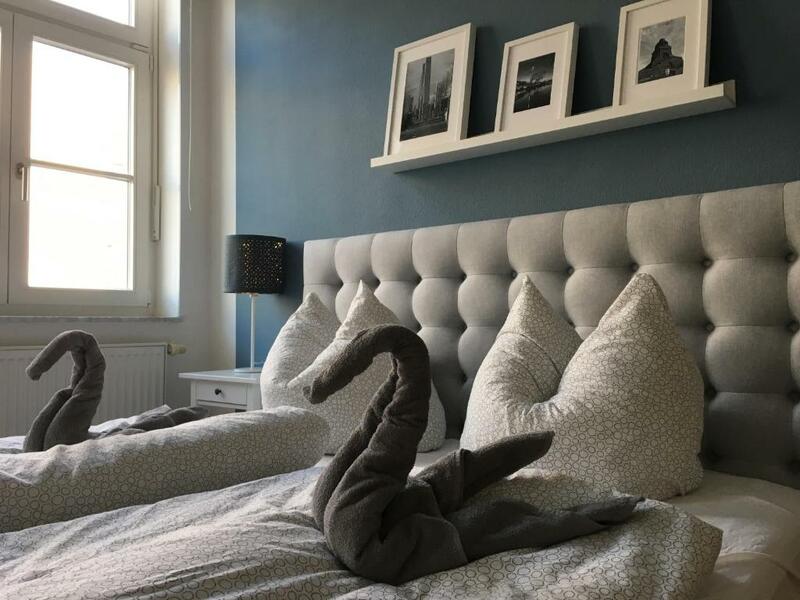 Sehr saubere Wohnung die gut temperiert war. Besten Dank auch an Moni für die gute Einweisung, Schlüssel und Parkticketübergabe! Tolle FeWo mitten im Zentrum von Leipzig. Sehr gut ausgestattet. 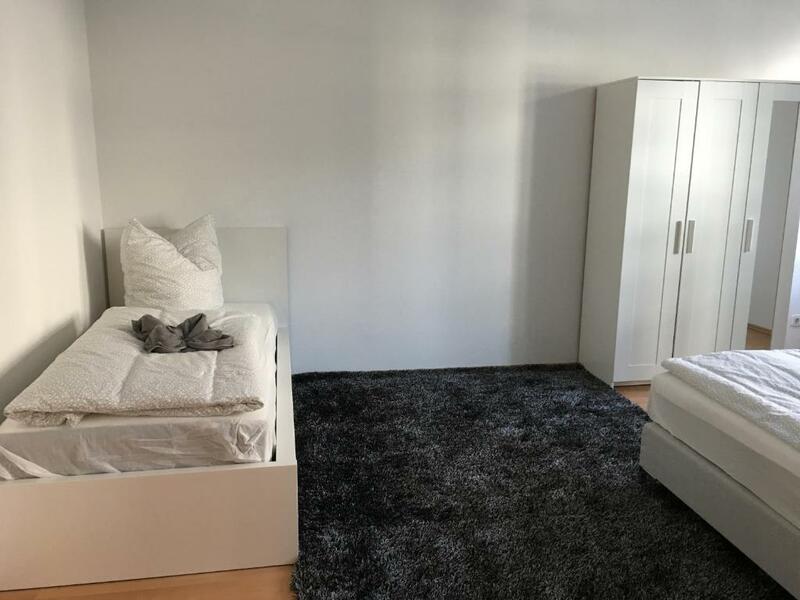 Bequeme Betten, schönes Badezimmer, großer Wohn-/Essbereich. Sehr sauber. Wir kommen ganz bestimmt wieder. Lock in a great price for Luxuriöse Wohnung mit Parkplatz mitten im Zentrum! – rated 9.3 by recent guests! 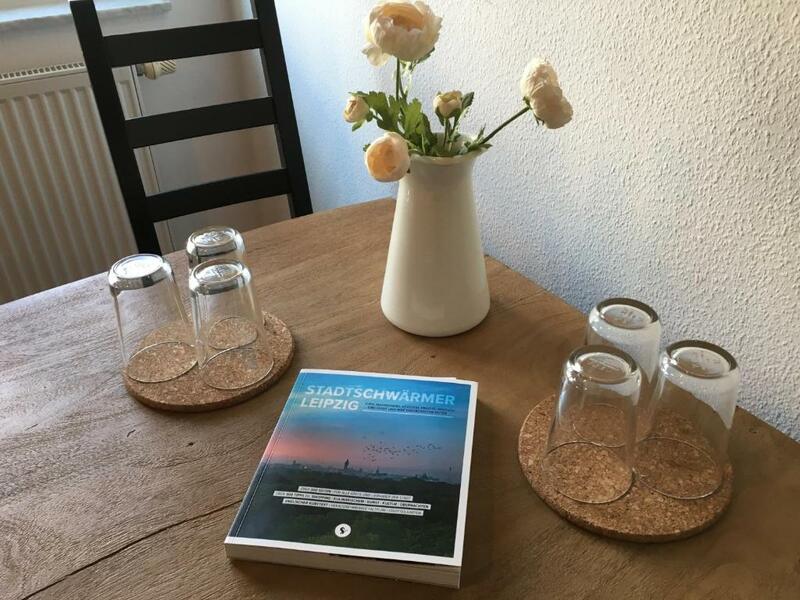 One of our best sellers in Leipzig! Luxuriöse Wohnung mit Parkplatz mitten im Zentrum! is located in Leipzig. The property is 1.5 miles from Zoo Leipzig. The apartment has 3 bedrooms and 2 bathrooms with a bath. There's a seating area, a dining area and a kitchenette complete with an oven and a microwave. Panometer Leipzig is 2.3 miles from the apartment, while Leipzig Trade Fair is 6 miles away. Leipzig/Halle Airport is 14 miles from the property. 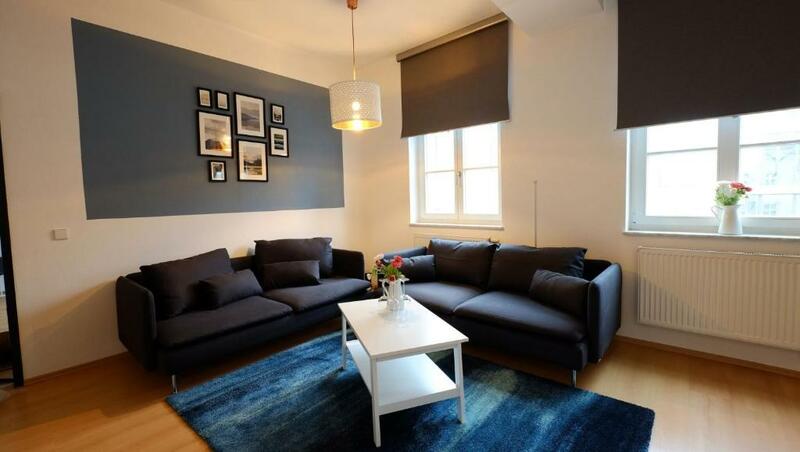 뀐 Located in the real heart of Leipzig, this property has an excellent location score of 10.0! 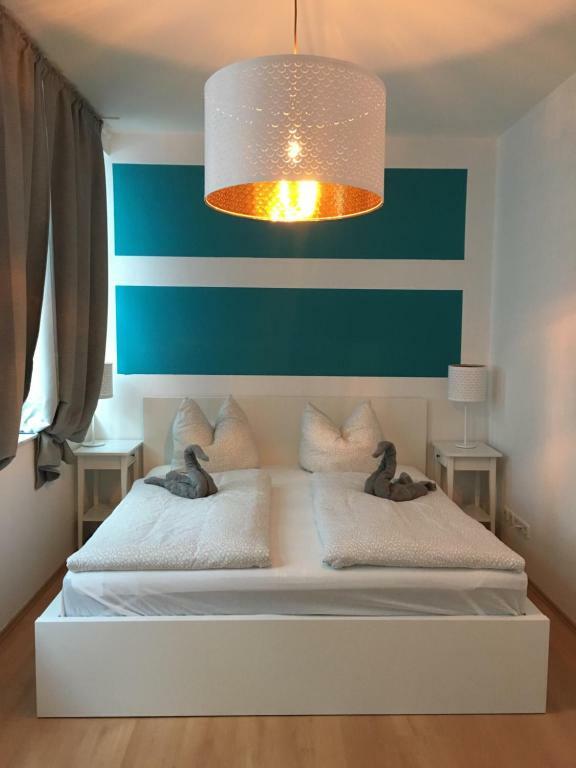 When would you like to stay at Luxuriöse Wohnung mit Parkplatz mitten im Zentrum!? Right in the heart of the city center, 7 people on 120 square meters will find enough space and peace to relax. We offer 4 bedrooms, including 3 double rooms and one single room, which is directly adjacent to the spacious living room. Even the little ones find their space in a baby bed. It is all perfect for a stay with large groups. Of course we offer towels, as well as bed linen for you. Our large, fully equipped bathroom has a shower and a corner bathtub. Furthermore you will find a guest toilet with sink before. In the spacious kitchen you will also find everything you need for a great stay, a special extra represents the dishwasher. 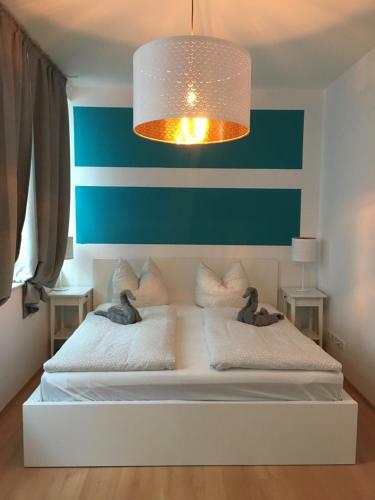 Convince yourself of Leipzig's flair in our modern apartment! 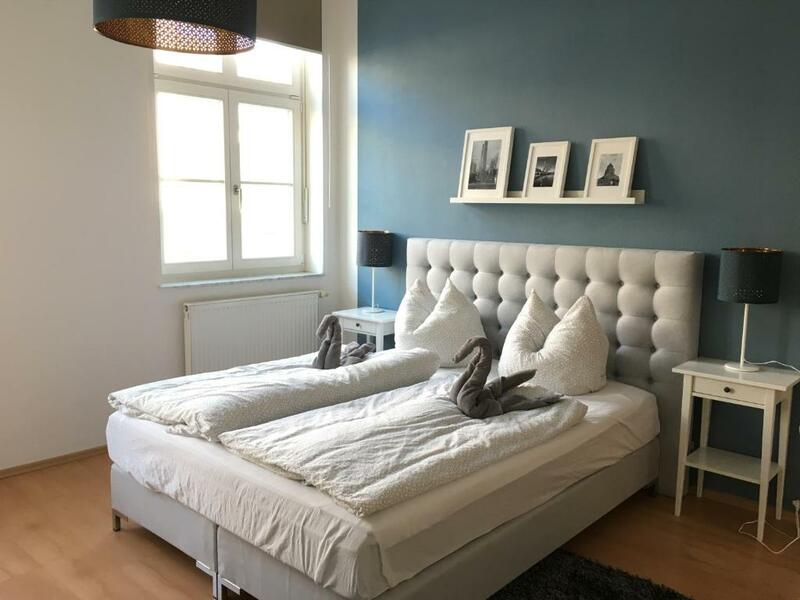 The property is located right in the city center of Leipzig. At your doorstep is the pedestrian area of ​​Grimmaische Strasse with renowned shops, restaurants, bars and sights. The Augustusplatz with the Leipzig Opera, the University of Leipzig and the Gewandhaus is just around the corner. A free parking space in the underground car park "Q-Park Augustusplatz" is available. The main train station is 600 m away, the nearest airport Leipzig / Halle 14 km. House Rules Luxuriöse Wohnung mit Parkplatz mitten im Zentrum! takes special requests – add in the next step! Please inform Luxuriöse Wohnung mit Parkplatz mitten im Zentrum! of your expected arrival time in advance. You can use the Special Requests box when booking, or contact the property directly using the contact details in your confirmation. Newest Reviews for Luxuriöse Wohnung mit Parkplatz mitten im Zentrum! The water in the shower didn't get very hot. I thought there was a washing machine, alas not.